Many katana straddle the line between artwork and functional blade, displaying intricate ornamentation that makes them such beautiful collectibles. The Engraved Dragon Mahogany Katana is an excellent example with its ornate look. 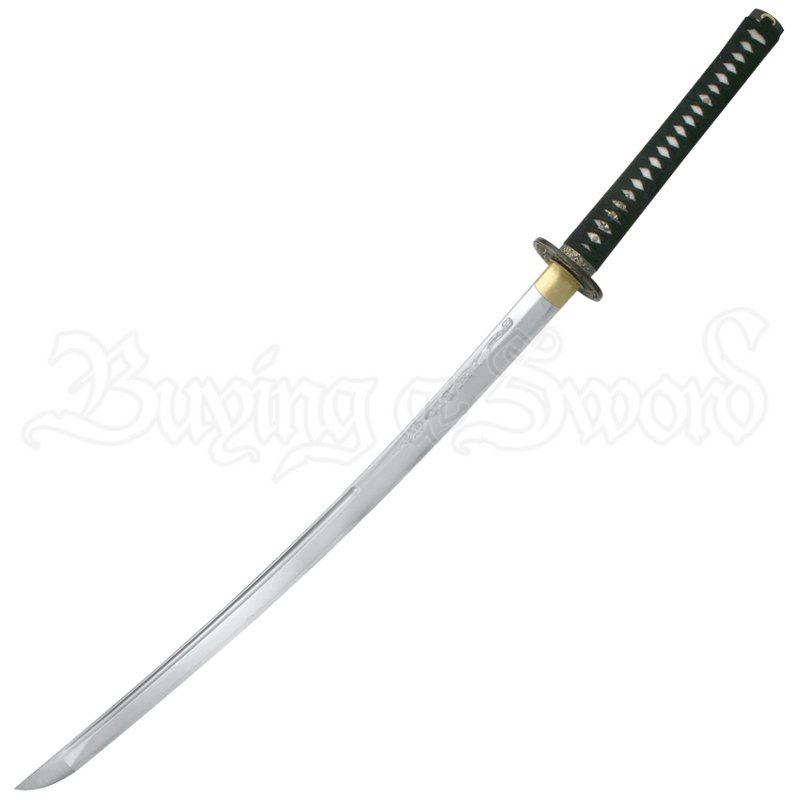 The functional katana is crafted from high carbon steel and features a fullered blade marked with a dragon engraving. The handle is made with top grade ray skin. The high quality brass tsuba appears eye-catching with a design showing a Japanese god and demons on one side and bamboo on the other. The collectible katana comes with a beautiful lacquered mahogany scabbard, a certificate, a sword bag, and a cleaning kit. Collectors and swordsmen can both find something to love in this Japanese blade.